Starting Friday night in Westport, patrons of the popular entertainment district will have to pass through metal detectors to enter. After Kansas City councilmembers voted in favor of privatizing sidewalks in Westport in December, new security measures are scheduled to start at the popular entertainment district. Starting Friday night, the first night of Labor Day weekend, patrons will have to pass through a metal detector at one of four checkpoints to enter the area, located at the intersections of Westport Road and Mill Street, Westport Road and Broadway Boulevard, Pennsylvania Avenue and Archibald Avenue, and Pennsylvania Avenue and the entrance to a parking garage. The rest of the district will be encircled by pedestrian-boundary markers. According to a news release, the screening sites will bring "enhanced security" to the area similar to screening at large sports venues. Weapons and large metal objects will not be permitted. The size of bags and purses will be restricted to 8.5 by 11 by 6 inches. Patrons must be 21 and older and present a valid ID, a policy that has been in place for more than a decade. It is legal to carry a gun without a permit in nearly every public space in Missouri. 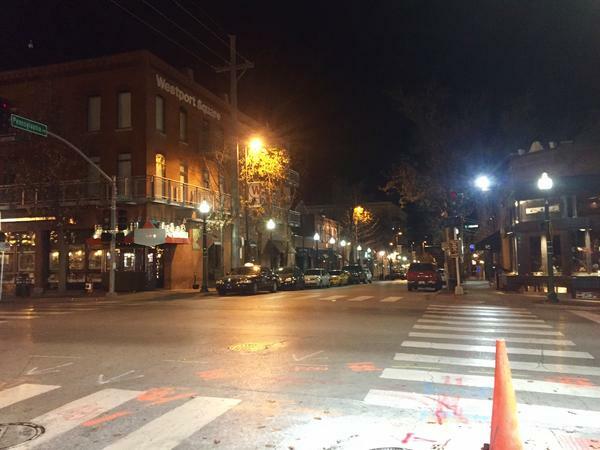 So, in response to an uptick in gun violence in Westport, a coalition of business owners in the district proposed privatizing the sidewalks, so they could keep weapons out of the area. Opponents of the measure worried about potential racial profiling. Councilwoman Alissia Canady initially shared these concerns. That's why she made sure there were "safeguards" in the ordinance, implementing racial bias training for security guards and bringing on a staff of "civil observers" to monitor the guards at each checkpoint. The Ad Hoc Group Against Crime hired 11 observers in the spring. They went through several days of training, which included test runs out in Westport on busy weekend nights. They also participated with the security guards in the one day of racial bias training. Ad Hoc director Damon Daniel previously called the training for security guards a "good start" but noted more training was needed. The "enhanced security" measures will be active Friday and Saturday nights from 11 p.m. to 3 a.m.